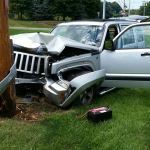 Five days ago, I got into a car accident with my dog. I travel frequently with at least one of my dogs with me, whether it’s to and from training, or just heading out to demo and schmooze and explore new neighborhoods. I almost never travel with any dogs loose in the car. I drive (drove) a 2014 Mitsubishi Outlander, mid-sized SUV. Prior to that, I had a 2011 Outlander. 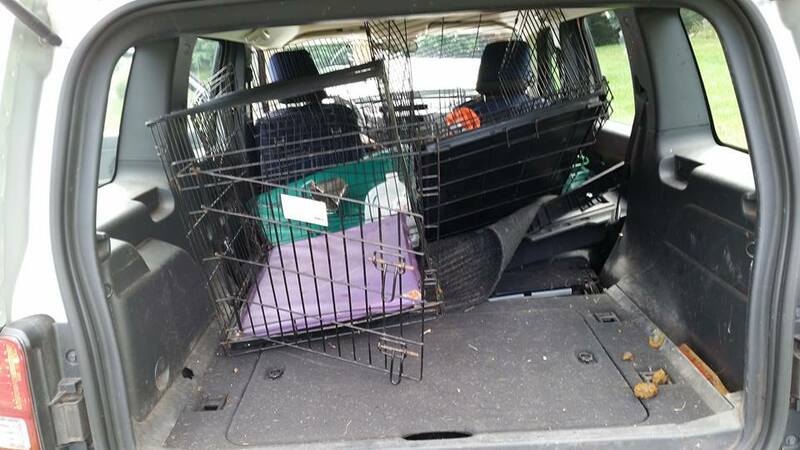 I had two plastic crates in the trunk space, slightly smaller than what is recommended for the size of my big dogs, and crammed in so tight into the trunk that there was no room for any movement. 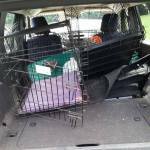 I truly believe this configuration and the safety standards of my Outlander, saved my dog from further injury. 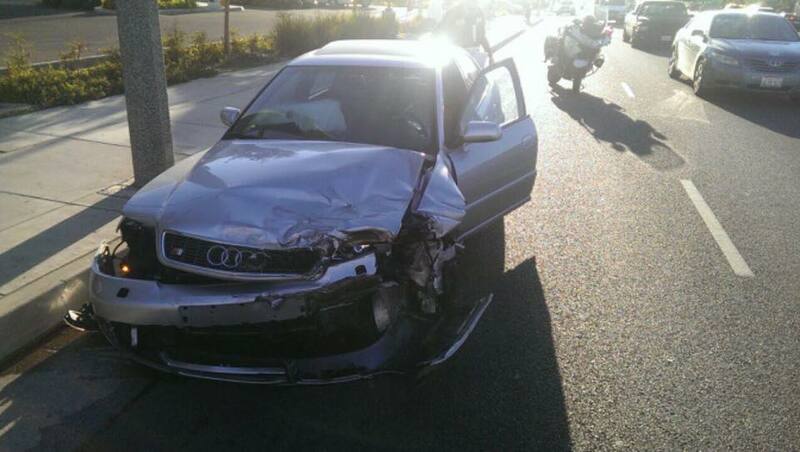 I was making a left turn and was clipped, hard, by a 4 door sedan. The other car hit me so hard, my big car spun 270°. My back tires were off its axle, side airbags were deployed, back frame totally shifted. 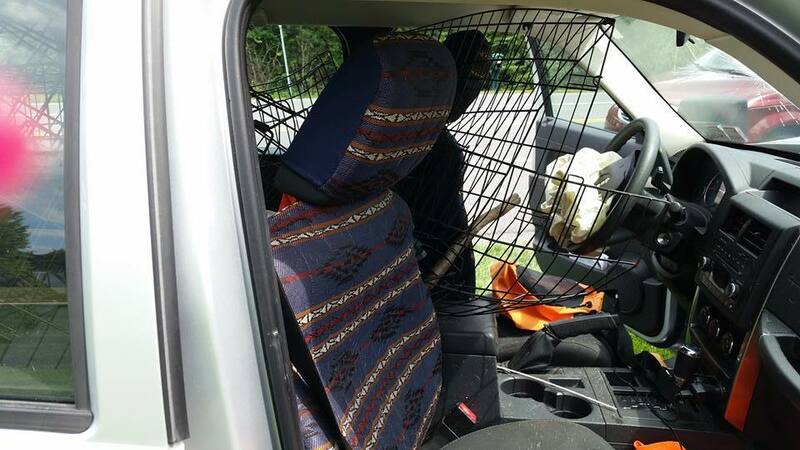 The scariest part, is the impact site at the back quarter panel is exactly where my dog was, in his crate. 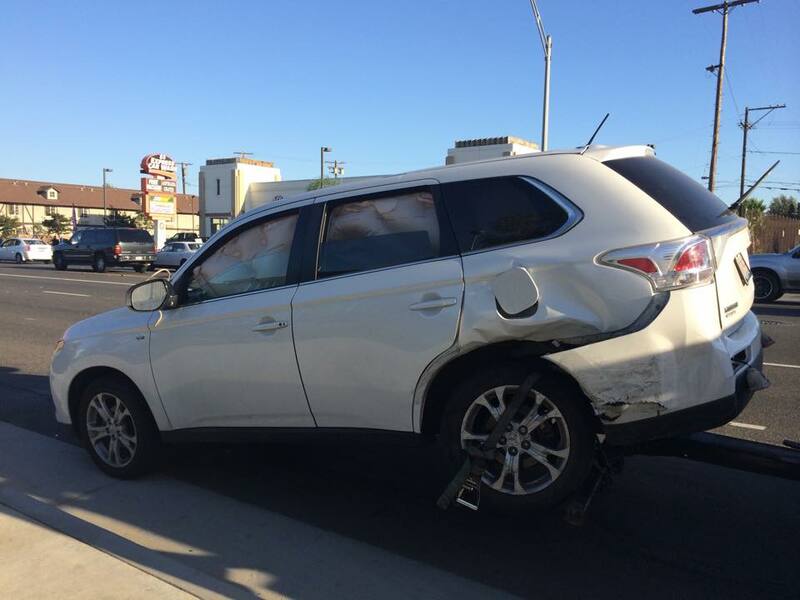 My Mitsubishi Outlander being towed out of the middle of the intersection. The damage on the car that hit me. It was most eery because I had just shared another person’s post on facebook, about her car accident. 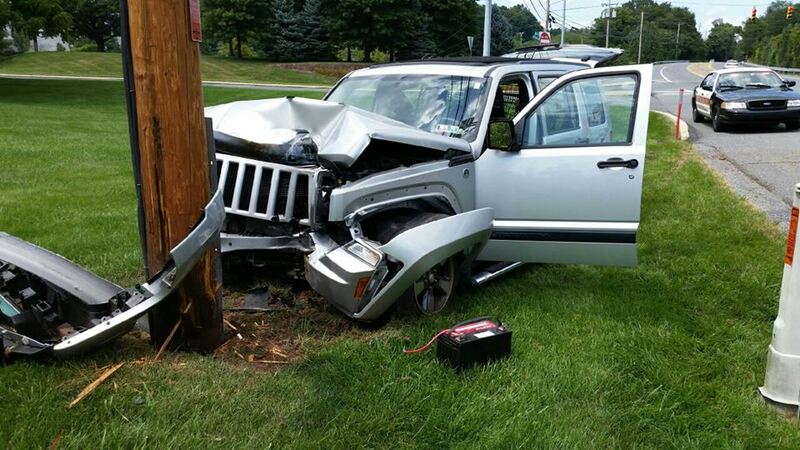 She was traveling in her Jeep when she went into a pole. 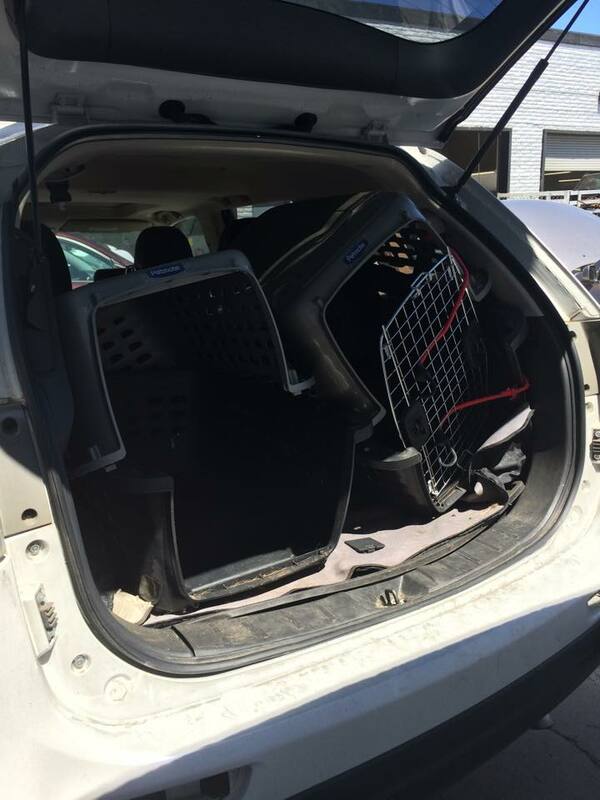 The three dogs she was traveling with, were in wire crates and unfortunately the crates did not hold up because they were not designed to sustain this type of impact. 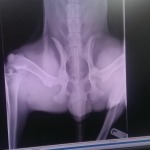 One of the three dogs suffered serious spinal injury. Looking at those pictures, I am surprised no one was impaled from the metal splayed everywhere. 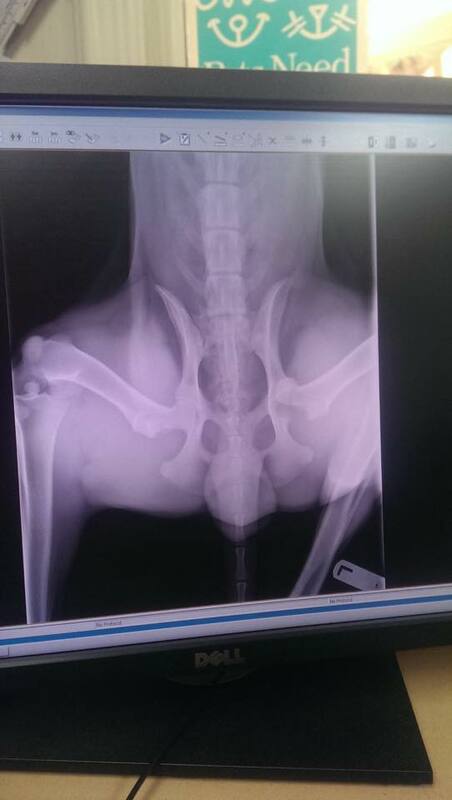 Those pictures are scarier, in comparison, to what my dog had endured. My plastic kennels after nearly direct impact to their location inside my car. The crate with the red bungees across the door was empty at the time of the accident and moved more. My crates had no where to be thrown around to. The plastic was much more pliable in the impact and there was nothing sharp to toss around. 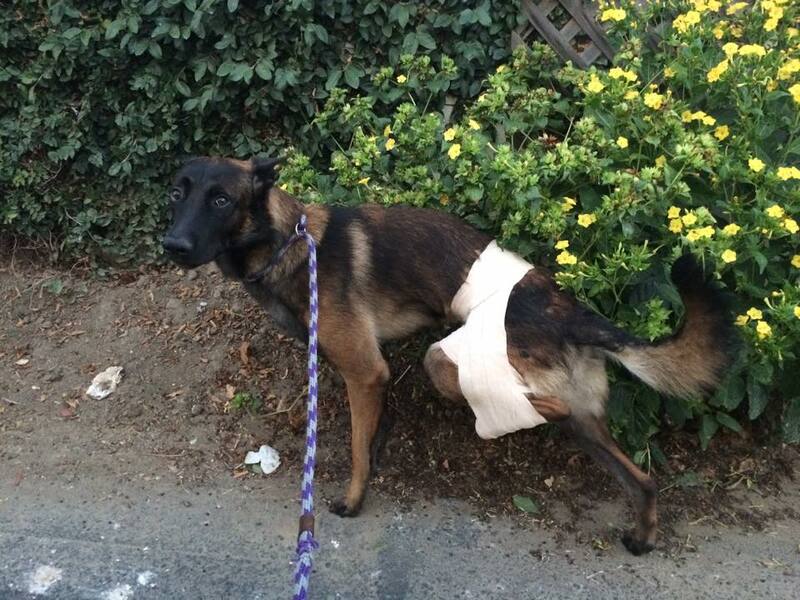 Moto walked away with a dislocated hip from the accident. I am convinced he would have sustained much more injury if he was in a wire crate, or even worse, loose in my car. So what is the safest way to travel with your pet? Loose? Absolutely not. Not only is this the equal amount of danger to not buckling a child in while driving, it’s also exponentially dangerous for you as a driver. 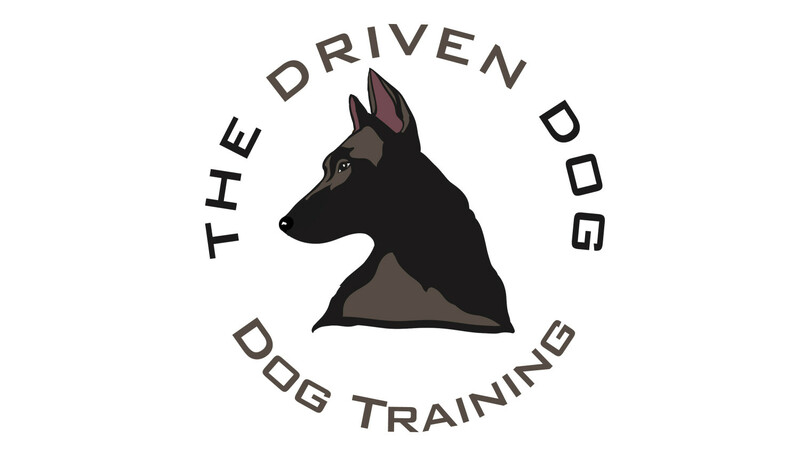 Your dog is a huge distraction to you, especially if they love to lick your ear, jump in your lap, jump down to your feet where you’re trying to work the pedals, chew on seatbelts, bark crazy out the window, etc. 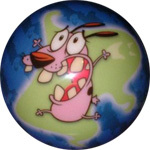 Your dog also becomes a giant missile, similar to a loose bowling ball being flung around your car in an accident. Harness attached to a zipline or seatbelt, right? Nope. 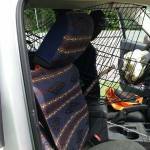 Did you know that there is no requirement on the strength of safety of pet restraints in cars? It just isn’t regulated. There simply is no standard and manufacturers are not required to test their products. Take a look at this video, for example, conducted by the nonprofit, Center for Pet Safety, in 2013. (click on to Vimeo, please, to watch). Pretty freakin’ scary. They tested a bunch of different types of harnesses, actually. You can check them out on their site, here, if you’d like. What I found most appalling, is even if the restraint devices didn’t outright fail, they would severely choke a dog in the event of impact. Wire crate? Yeah, no. We already discussed why these are not a good idea. They weren’t created with travel and impact, in mind. So what’s a dog owner supposed to use?! If you ask me, it’s an appropriately sized, good quality, plastic crate, secured in your car. For sure. Buckle it in, use bungee straps, something. Make it so it won’t tumble around. Think of it like a baby car seat. Secure that thing! 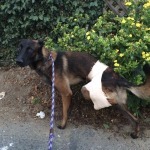 Moto and I will heal over time, and we were lucky to walk away with just the injuries we had. Please keep yourself and your pets safe while traveling. Any questions regarding safe travel, please feel free to contact myself, or your local veterinarian or dog trainer. 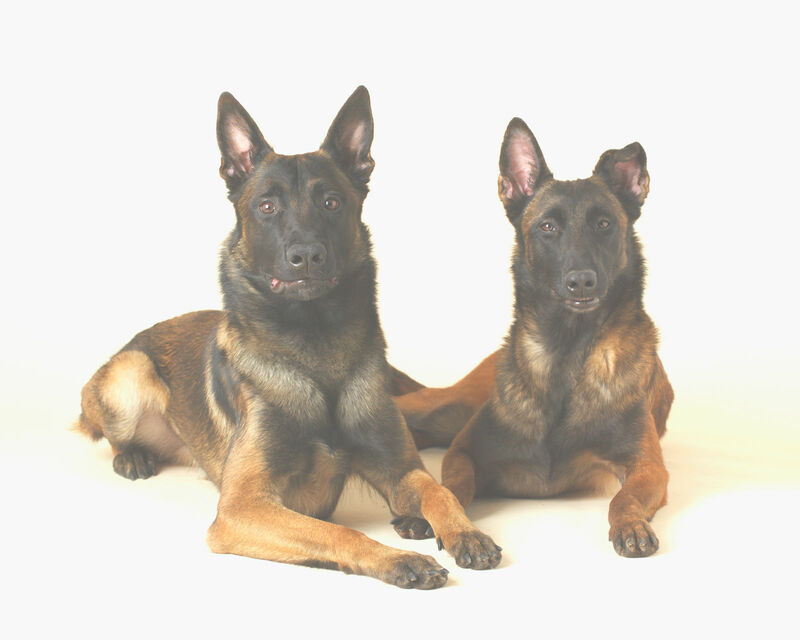 ← You feed your dogs raw food?! Like, RAW raw? ?